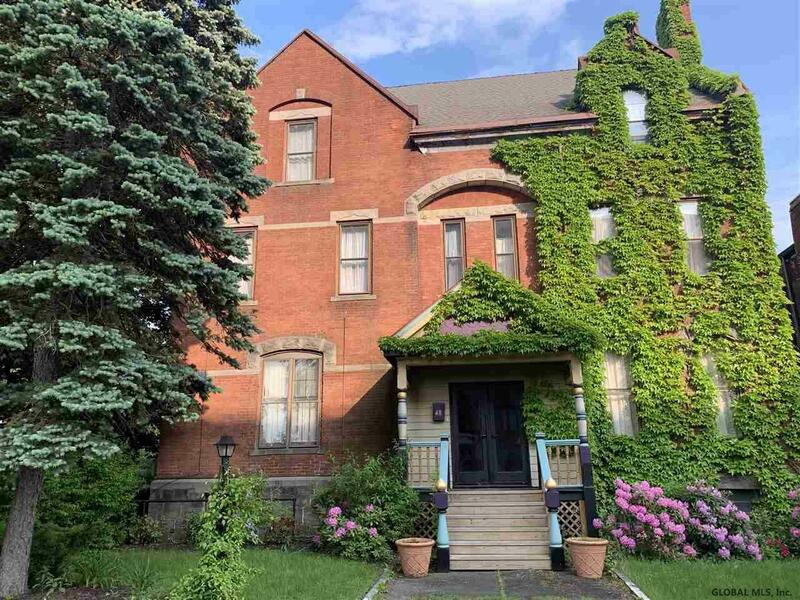 Magnificent hand crafted Brick Gothic Victorian circa 1920's, 5, 400 Sq Ft Historical beauty. Brick facade, wonderfully detailed interior & exterior and 3 Car Garage! Updated eat in kitchen, granite countertops , fireplaces, tin ceilings, hardwoods, spacious rooms, beautifully sized master suite w/walk in closet & bath, many bedrooms & baths. "Au pair" or in-law suite, gardens w/wonderful plantings. The possibilities are endless: Bed & Breakfast, Air B&B. One of a kind treasure, breathtaking views!